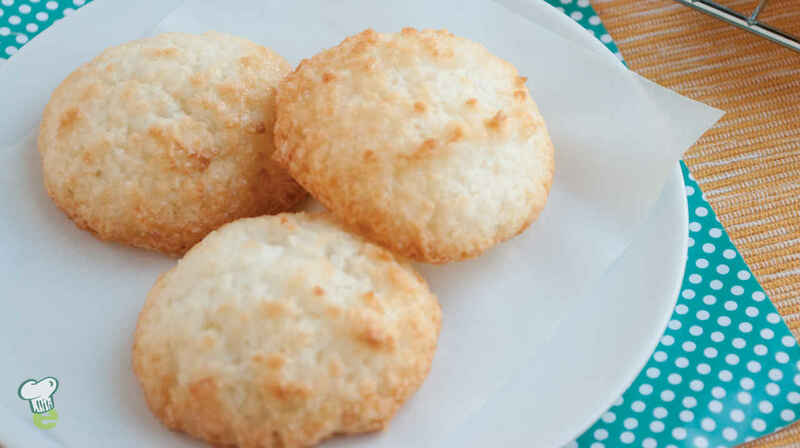 At 80 calories per cookie, these coconut macaroons are healthy holiday cookies everyone will love. In a large bowl, whisk together sugar and cornstarch until the cornstarch has no lumps. Add the coconut and the vanilla and whisk to combine. Add the egg whites and whisk until combined. With an ice cream scoop, scoop dough by tablespoonfuls onto baking sheets. Bake for 10 minutes, or until golden brown. Remove from oven and cool on baking sheets on a wire rack. Remove from baking sheets when completely cool.